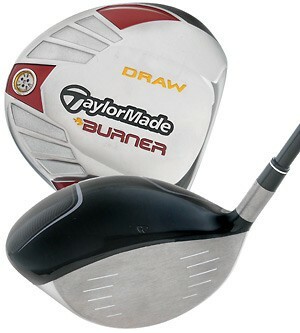 Golf clubs with dents, cracks, shaft bag wear, badly scratched heads, and/or rattle in head. Wedges/Irons with excessive sole wear, groove wear, chrome wear, and/or dings. Clubs that are not received in the condition submitted will be notified before issue of payment. Please view our Condition Scale to better clarify the condition category of your item(s). 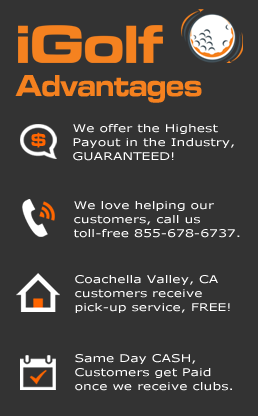 Shop wear does not qualify for new pricing. 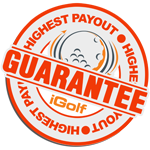 iGolf's new price category is 100% brand new without a single mark on the club head(s). Drivers, Fairway Woods, Hybrids, and Putters should include all original accessories. If applicable, include original headcover, fitting wrench/tool, and extra weights. The popularity of hybrids has completely altered the typical iron set, this is why we price Irons individually. Iron Sets must have at least 5 consecutive irons and include the pitching wedge. All iron shafts must match (make & flex). We do accept the following individual irons; 2-iron, 3-iron, 8-iron, 9-iron, and all wedges. We do not accept the following individual irons; 4-iron, 5-iron, 6-iron, and 7-iron. example: Irons 5-P,S = Qty 7 example 2: If you are trading in two set of the same model irons, 6-P and 4-P,S = Qty 13. Click here for more Condition Scale information.